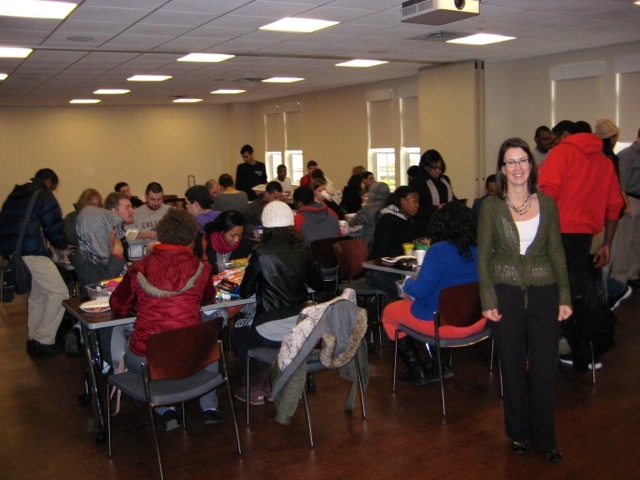 On Tuesday, January 15, 2013, American Federation of Teachers Local 1904 at Montclair State University hosted a pizza party for students who live on campus and didn’t go home during the winter break. 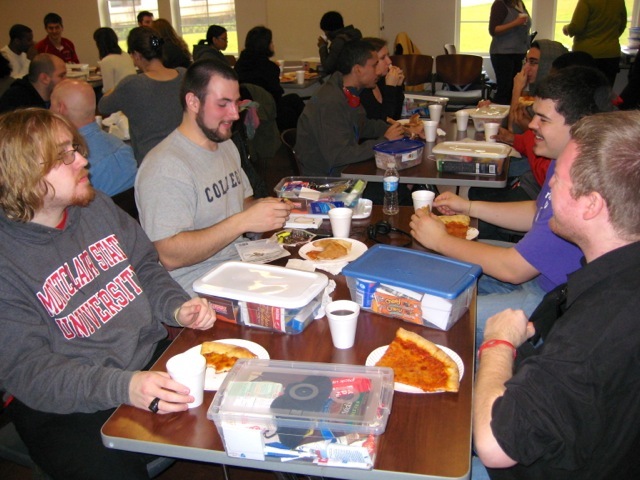 At the party, faculty, professional staff and librarians provided 30 pizzas and distributed 130 care packages to students in the multi-purpose room in The Machuga Heights. 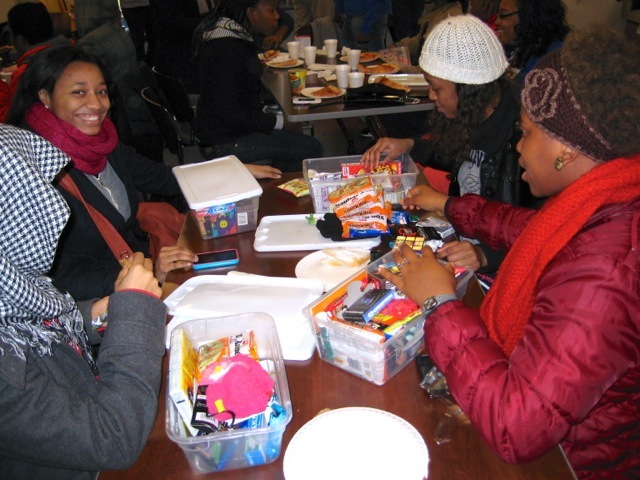 Union members paid for and put together the care packages for students: a plastic shoe box that contained things such as: small travel games, playing cards, gloves, $5 gift cards to Starbucks or Dunkin' Donuts, cough drops, cocoa, ramen noodles or Cup-a-Soup, granola bars and other snacks, and AFT-branded items such as Post-it notes, and pencils. “It‘s our hope that these packages will bring a little cheer to the students during the intersession,” said Dr. Wolfson. AFT Local 1904 is happy to announce that applications for the Becker-Keenen-Moore-Uhia-Waller Scholarship are now available. All full-time undergraduate students in any major are eligible. If you know students in good academic standing (2.75 GPA or higher) who might benefit from this award, please encourage them to apply. This scholarship fund was established in 1997 in honor of Catherine A. Becker, James P. Keenen III, Joseph T. Moore, Anita E. Uhia, and Connie Waller, all former faculty and active union members who were deeply committed to the principles of collective bargaining and to helping our students who demonstrate a significant economic need. For additional information and to download the application, please visit the Local's website and click on the "Scholarships" tab. The deadline to apply for these $500 scholarships is Friday, March 1, 2013 at 3:00 p.m. Applications must be dropped off at the Local's office, College Hall 314A. Students who wish to be considered for this award are required to complete the application, write a short essay, and provide two letters of recommendation from full-dues paying members of the Local. Help spread the word about the BKMUW Scholarship by posting this flier on your office door or department bulletin board, or distributing it in class at the start of the Spring Semester. 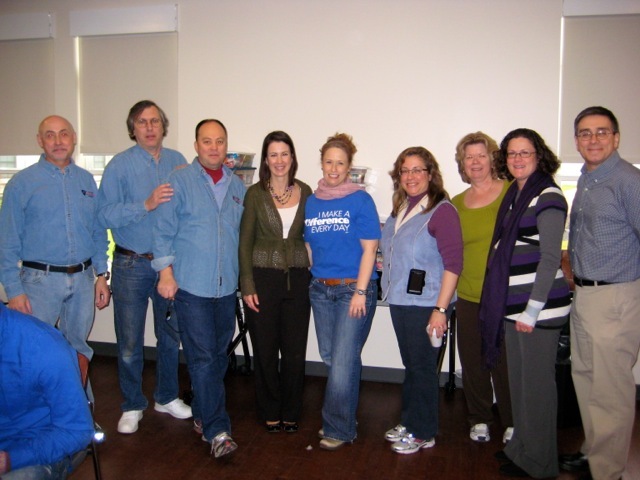 If you have any questions, contact Linda Turano in AFT Local 1904's office at 973-655-4453.